This game has breathtaking cell-shaded visuals that look every bit as good as Wind Waker HD's, and the cinematic cut-scenes are quite impressive as well! The music and voice acting is straight from the Japanese anime/voice actors so it's pretty quality stuff, though the lack of english voice acting is a bit of a letdown. 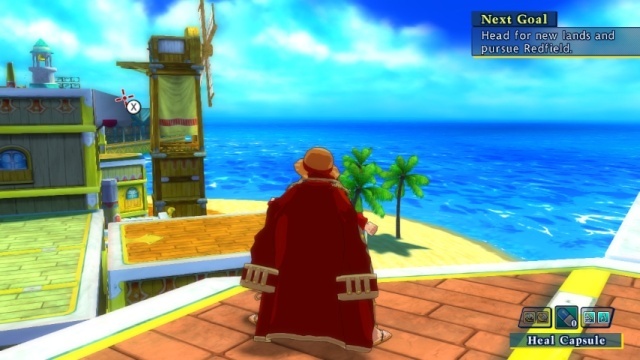 The gameplay on the other hand is separated into two different modes, Story Mode and Colosseum Mode. In Story Mode you work your way through ten "episodes" fighting enemies in classic beat 'em up fashion while leveling your characters up! You also are tasked with rebuilding the main town which acts as a hub and is where you'll shop and customize your characters. Character Words are special abilities that boost your character's stats though you can only equip a limited number of words so use them wisely! You can also take on guild quests in town to earn money and one of a kind items! These quests start off easy, but eventually become nightmarishly difficult. 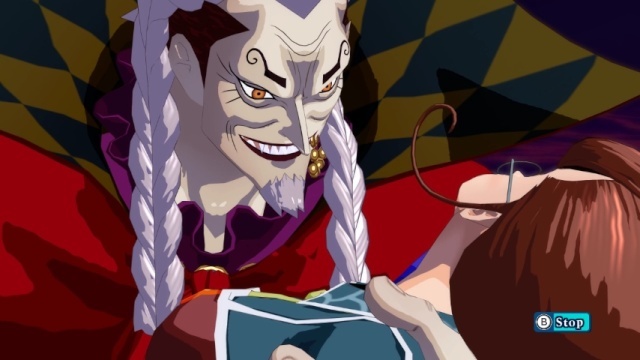 The game's story is mostly taken from the anime, but the overall story is unique, "it's hard to explain without spoiling the plot". The battle system utilizes combo attacks and powerful skills and is quite complex for a beat 'em up system. There are also odds and end things to do in the fields such as fishing and bug catching, but compared to the game's Wii predecessor there's not alot of freedom outside of the story, which really holds the game back. Colosseum Mode has you battling in a huge tournament based on the latest anime story arc! The mode also features cut-scenes and a story of its own. This mode has tons of variety in its battles and can be as fun as Story Mode at times, so we highly suggest playing through both game modes for maximum enjoyment of the game! 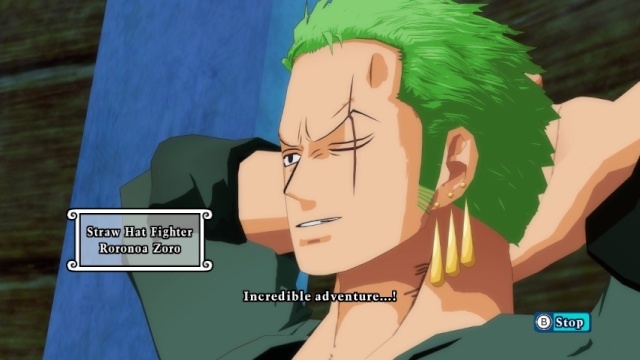 With amazing gameplay, excellent visuals, and a great plot One Piece: Unlimited World Red is a highly enjoyable game that is a must-buy for fans of the series and action-adventure games. The only negatives are the lack of English voice acting and the limited freedom in comparison to the game's Wii predecessor, but overall it's a great game that we highly recommend downloading! I completely agree with this review! This is a very under appreciated game that deserves more attention. This is one of your longer reviews that you've written! I finally caved and downloaded this game after reading this review and I'm glad I did! This is a ridiculously underappreciated game as the reviewer and other people in the comments have said. If you're on the fence like I was do yourself a favor and download it! Great review btw @Rukiafan. @FM_Alchemist wrote: I finally caved and downloaded this game after reading this review and I'm glad I did! This is a ridiculously underappreciated game as the reviewer and other people in the comments have said. I was actually referring to the Wii title when I said that, but yes I feel that the Wii U Unlimited game is unfairly overlooked by many gamers as well. Also thanks for your compliment, I'm glad you enjoyed my review! Sweet review! Taz a shame that the game doesn't have online like the PS3 version has. Good review! This game should have sold better then it did. Great review! I bought this a while back and I don't regret making that purchase. I for one am not a fan of One Piece, however your review seems fair enough.